The contamination is from a class of chemicals referred to as PFAS (perfluoroalkyl and polyfluoroalkyl substances). The chemicals have gotten into water supplies in hundreds of locations across the country and are associated with a range of cancers and serious illnesses in humans, even if they've been exposed to very small amounts. The state is planning to start a thorough round of testing in early 2019. So far, the Pennsylvania Department of Environmental Protection has identified at least 20 contamination sites in the state, including two near Pittsburgh that were added to the state’s list in the past few weeks. 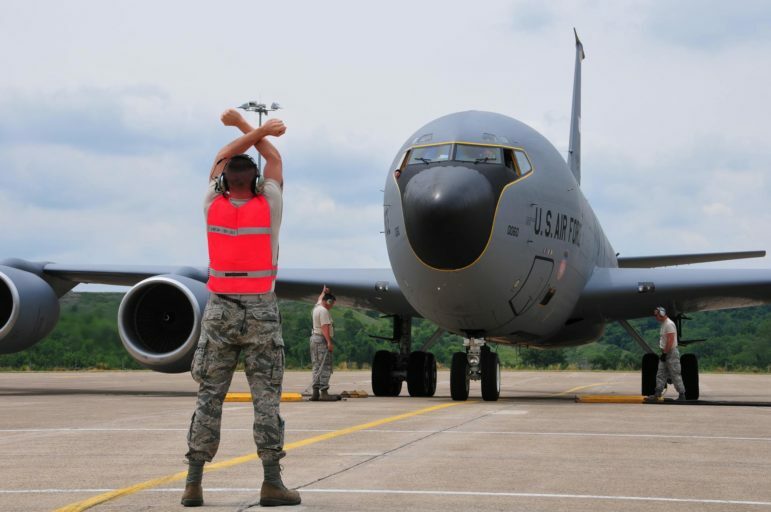 The local sites are the Pittsburgh Air National Guard in Moon Township and Pittsburgh Air Reserve Station in Coraopolis; the state guard unit is stationed at the federal reserve station and both use the international airport’s property. The state task force on PFAS chemicals will hold a public hearing on Nov. 30. You can access the livestream here and submit a comment by Jan. 31 here. About 98 percent of Americans already have trace amounts of these chemicals in their blood, but the worst contamination has been found near military bases, airports and factories that used two of the most ubiquitous and dangerous strains of the chemical family — PFOS and PFOA. Those two chemicals, which have been discontinued in the United States since 2015, were used in firefighting foam, often tested on military bases, and hundreds of other consumer products for the primary purpose of repelling water and oil. The most common brand names associated with these chemicals are Teflon and Scotchgard, which started using PFOS and PFOA in the 1940s. Everyone should avoid these chemicals, said Tracy Carluccio, the deputy director of the Delaware Riverkeeper Network. But she said the most urgent need is to figure out how much of the state’s drinking water has been contaminated. How serious and widespread is PFAS? The dangers of PFAS contamination have been public knowledge since the early 2000s, after a $100-million class action lawsuit against DuPont, which produced Teflon (a nonstick coating in pots and pans). The lawsuit revealed that DuPont knew of the potential health impacts of PFOA for decades without informing the public. In 2013, DuPont phased out PFOA. The company 3M voluntarily stopped using PFOS in Scotchgard 13 years earlier. Scotchgard is used in carpets, clothing and furniture to repel water and stains. PFOA stands for perfluorooctanoic acid. PFOS stands for perfluorooctanesulfonic acid. The two man-made chemicals have been widely used in commercial products. Their strong chemical bonds don’t break down, and they can build up in the food chain and the human body. Awareness of the chemicals has been rising in the past few years as the extent of contamination has become more obvious and the health effects more certain. The military has found that the chemicals have contaminated the water at 126 military bases across the country. The bases are used for firefighting practice and the chemicals leach from firefighting foam into the ground. The chemicals are then entering the water supply: More than 1,600 wells on or near military bases have shown high levels of PFOS and PFOA. PFAS have been found in a wide variety of other products, including about a third of the wrappers at fast food restaurants, which prevents the water and grease in food from leaking through the paper wrapping. They are also in similar food products, like gum wrappers, pizza boxes and microwavable popcorn bags. The chemicals have been used in practically anything that is nonstick, stain-resistant or water-repellent, including computer cables, cleaning products, waxes, paints, implantable medical devices and outdoor clothing like Gore-Tex boots. States that are doing more testing tend to be the states that are finding more PFOA and PFOS contamination, according to Rob Billot, a lawyer who has spent nearly two decades working on legal cases involving the two chemicals. The states that have been looking more, he said, are finding more. For example, Michigan has been testing the water in public schools and, after finding contamination, some schools are now using bottled water. PFOS and PFOA are among thousands of perfluoroalkyl substances (PFAS). About 12 of those substances have been receiving the most attention but the adverse health impacts of PFOS and PFOA are the most well documented. In 2016, at least six million Americans were thought to have been exposed to PFAS through their drinking water. The Environmental Working Group, an advocacy group that studies the chemicals, concluded that more than 220,000 Pennsylvanians were likely exposed to PFAS. But in May the group estimated the number of people exposed nationally is about seven times higher than they originally thought. Its latest analysis suggests more than 110 million people in the nation may have been exposed through their drinking water. New Jersey and Vermont are considered to be leaders on the issue because they have set a threshold for contamination lower than the U.S. Environmental Protection Agency [EPA]. While some states may be ahead of others, Judith Enck, a senior analyst at the Center for Climate Integrity, said every state and level of government need to be ramping up efforts to understand and address the problem. "Here is the bad news: No one in government has a handle on this issue,” Enck said. "If they say they do, they are not being truthful." Gov. Tom Wolf signed an executive order in September to create an action task force to look into PFAS contamination. The group is responsible for managing the contamination, including ensuring safe drinking water, educating the public and identifying funding sources for cleanup. “As we move forward aggressively to address these substances, it is critical that we work closely with affected residents, municipal officials, water system operators and the scientific community to gather as much information as we can about potential impacts to public health and the environment,” said Pennsylvania Department of Environmental Protection [DEP] Secretary Patrick McDonnell, who will lead the action team. The full list of 20 known contamination sites in Pennsylvania can be found here. The task force is developing a plan to sample water systems in Pennsylvania and plans to begin testing in early 2019. Although the EPA has already tested many large sources of drinking water in the state, many smaller sources of contamination still need to be tested, according to Carluccio, the deputy director of the Delaware River Keepers. 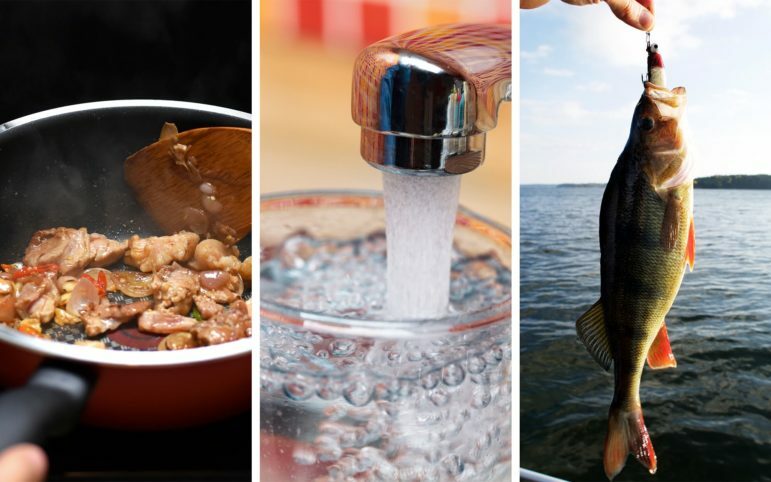 In New Jersey, she said, the state recently created new limits for how much fish caught in the estuaries of the Delaware River should be consumed because of the high levels of PFAS contamination. The issue is changing so quickly that the DEP now lists 20 contamination sites, while only weeks ago there were 15. State and federal officials have already begun cleanup at at least 11 of the Pennsylvania sites. The Pittsburgh Air National Guard base and Pittsburgh Air Reserve Station were among the contamination sites added most recently. The base was opened in the 1943 at about the same time that PFAS chemicals started to become widely used. The Guard did not respond to email and phone messages before publication. The Allegheny County Airport Authority oversees operations at Pittsburgh International Airport, which owns property used by the Guard and Air Reserve Station. a spokesperson for the authority, wrote in an emailed statement. 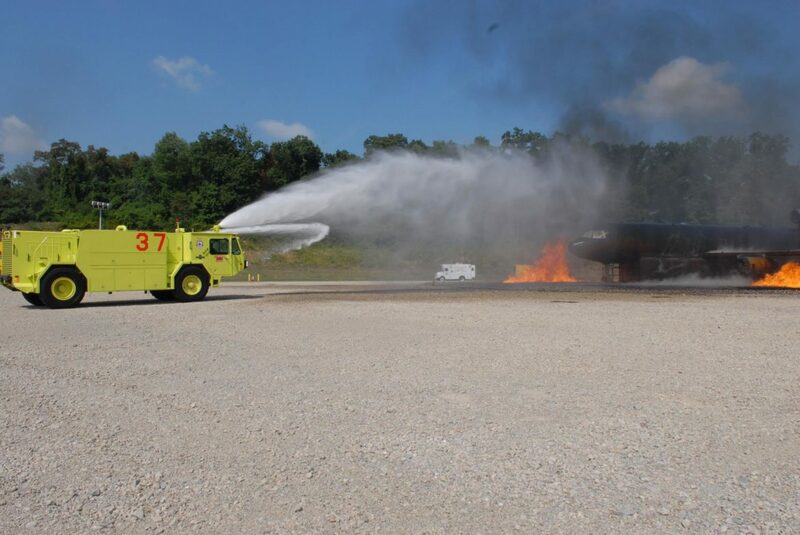 "On the occasion foam is discharged for vehicle testing purposes at PIT, it’s done at our fire training facility where the runoff is contained." PFAS experts, including “representatives of the federal and state governments, as well as utilities, municipal governments, [and] advocacy organizations,” will present at the Nov. 30 hearing in Harrisburg. The meeting will be livestreamed between 9 a.m. and 1 p.m. on the DEP’s website. The state task force is accepting online comments from the public until Jan. 31. More than 200 of the online comments on PFAS so far have come from supporters of the Delaware Riverkeeper Network. The group asks for the state to set a more rigid standard for the maximum level of contamination before remediation is taken: 1 part per trillion or a maximum of 6 parts per trillion [ppt]. Its recommendation is more than 10 times as rigid as the current EPA standard and stricter than the 7 to 11 ppt suggestion by the Union For Concerned Scientists. The Pittsburgh Water and Sewer Authority [PWSA] has tested for PFAS in the Allegheny River, where levels have fallen under the EPA health advisory limits. Most tests showed no contamination, one test showed contamination of the water at 2 ppt, according to a spokesperson. The current EPA limit is 70 ppt. Even under the strictest state standard, 13 ppt in New Jersey, the water would pass muster. It would also fall under new guidelines released by the Agency for Toxic Substances and Disease Registry in November that suggest limits for children of 14 ppt for PFOS and 21 ppt for PFOA. For comparison, the EPA limit for lead contamination in drinking water is 15 parts per billion. But Carluccio of the Riverkeeper Network said no amount of exposure is safe. “One of the properties that scientists fully understand is that being exposed to even tiny amounts is very dangerous because it builds up in your blood,” she said. PWSA uses anthracite as a filter, but it does not remove PFAS. “We’re exploring feeding powder-activated carbon as part of our future treatment process,” said PWSA spokesman Will Pickering. PWSA plans to continue testing for PFAS at least once a year. The DEP took over inspection responsibilities for all 66 drinking water systems in Allegheny County in February, according to a county press release. One of the first major sites for PFOA contamination that was made public was near the former DuPont factory about 150 miles southwest of Pittsburgh in Parkersburg, West Virginia. Scientists studied nearly 70,000 residents in and around Parkersburg and found elevated levels of testicular cancer, thyroid disease, ulcerative colitis and high cholesterol. In another two-year study completed in 2000, monkeys exposed to PFOS lost weight, grew enlarged livers and died. In some cases, the monkeys died within three weeks. Even some of the monkeys exposed to the lowest dosage died. The most consistent finding in humans has been increased cholesterol levels, according to the EPA. But there are other effects on the body’s immune system and fertility that are less well established, according to the EPA. 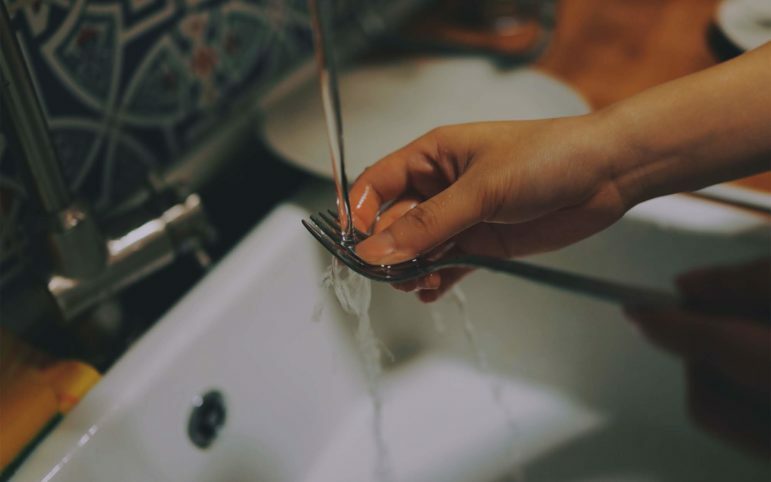 In 2018, the CDC found that the amount of PFAS contamination in the average person had fallen by more than half since 2000 as the substances have been phased out of active production. How do I avoid these chemicals? In 2003, the average adult had about 4 or 5 parts per billion of PFAS in their systems, according to one study. That’s the equivalent of four or five drops in an Olympic-sized swimming pool and 60 to 70 times more than the EPA’s recommended limit for drinking water. Some scientists are arguing that people should refrain from using any stain-resistant, waterproof or non-stick products until the chemicals that have replaced PFOA and PFOS can be studied. When water tables near military bases have been contaminated with PFOA and PFOS, the bases typically install special carbon filtration devices. The devices are widely believed to be effective, but some residents who get water from their own wells have complained that, even if the devices are installed for free, replacing the filters can be prohibitively expensive. Are nonstick products safer now? Even as companies have shifted away from using PFOA and PFOS, some scientists point out that their replacement chemicals are also fluorine-based and could be just as harmful. Industry spokespeople say the replacement chemicals pass through the body more quickly. Chemicals with a similar molecular structure are used in the production of plastics, gasoline and pesticides. Health advocates say the companies that produced PFOA and PFOS always say chemicals are safe until enough evidence forces them to abandon these chemicals. The molecules of the replacement chemicals are also more difficult to filter out. Who will pay for remediation? One of the big outstanding questions is who will pay for cleanups and the effects the chemicals have had on people. DuPont settled with Parkersburg for more than $100 million in the mid 2000s. That included more than $70 million in damages. Each resident received $400 in exchange for a blood sample, which was used by scientists to study how their health had been impacted. The company paid more than $30 million for those studies. Now, there are hundreds of contamination sites across the country. The military has estimated that it would cost at least $2 billion to clean up its contaminated sites alone. Two years ago, there were more than 3,500 personal injury cases related to PFAS contamination going through the courts, only a handful of which have received settlements, according to the New York Times. So the battles over who will have to pay are likely to continue for many years. In some cases, fragments of historic sites survive based on their value as industrial heritage or their adaptability into venues for culture and tourism. In a few other cases, factory sheds are reused as office or light manufacturing spaces, if they can compete in the real estate market.But most often, it seems these relics of our industrial roots are razed. Hays Woods task force says ‘no’ to housing. Residents learn its early findings. Residents and business owners near Pittsburgh’s Hays Woods heard good news Wednesday night about one of their greatest fears.